Basketball Handicapper Dan Jamison is back with another pick involving the Duke Blue Devils. Coach K’s team has the Wake Forest Demon Deacons in their sights. Can bettors expect a 21 point cover against the spread? DJ breaks it down! Basketball Handicapper, Dan Jamison has a pick on the Indiana Hoosiers versus the undefeated Michigan Wolverines. The game tips off tonight, Sunday, at 4:30 PM EST in Ann Arbor. Sportsbooks have the Wolverines as hefty favorites with an opening line of -8. Press Virginia is supposed to get the buckets off turnovers. Instead, West Virginia itself has struggled to take care of the rock which lead their coach to call his team “very charitable”. Today,Saturday, January 5, 2019, we have the Mountaineers taking on the Texas Longhorns at 9 PM ET in the Frank Erwin Center, Austin, Texas. Sportsbooks opened the Longhorns as 8 point favorites. The SMU Mustangs travel to Devlin Fieldhouse in New Orleans to take on underdog Tulane Green Wave tonight, Friday, January 4, 2019 – 7 PM EST. Tulane is coming off a 32 point beating at the hands of Cincinnatti while SMU served a 28 point beating to East Carolina. College Hoops Handicappper Dan Jamison, breaks down this match and offers his free pick. 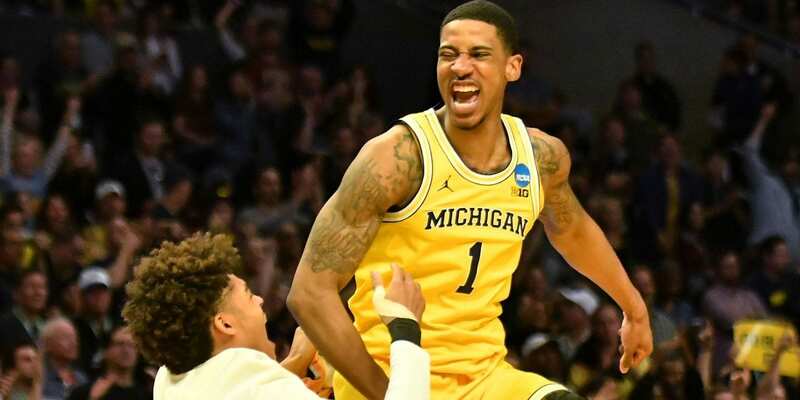 Sportsbooks have the Michigan Wolverines as huge 11.5 favorites over the Penn State Nittany Lions tonight, Thursday, January 3, at 7pm. ESPN has this game which is in Michigan. DJ has your daily college basketball prediction!